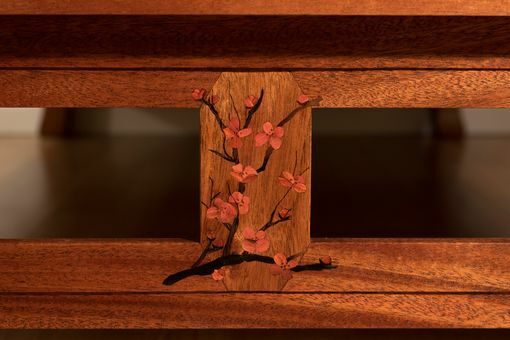 A Chinese-inspired bed featuring through tenons in the feet and a curved head board rail with hand cut cherry blossom inlay in the head board and foot board panels (optional). 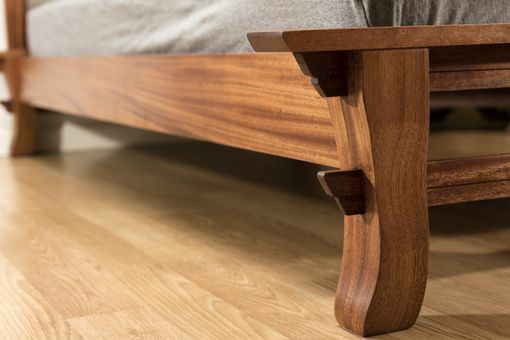 The bed is made from solid Mahogany and features mortise and tenon joinery in the headboard. 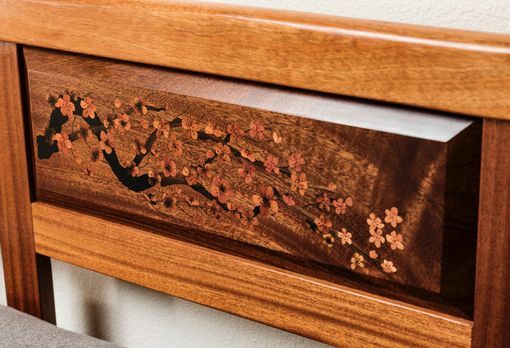 The bed is finished with a durable hand rubbed varnish. 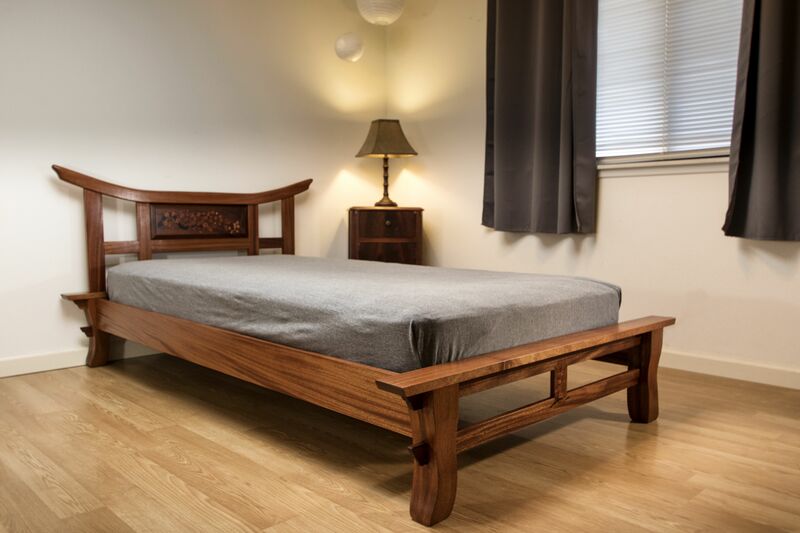 Can be made from other wood species and ordered as a full, queen, king, or Cal-king bed (price will be different for the size of the bed. Price reflects a bed with no inlay in the panel. Please inquire about an inlayed headboard panel.